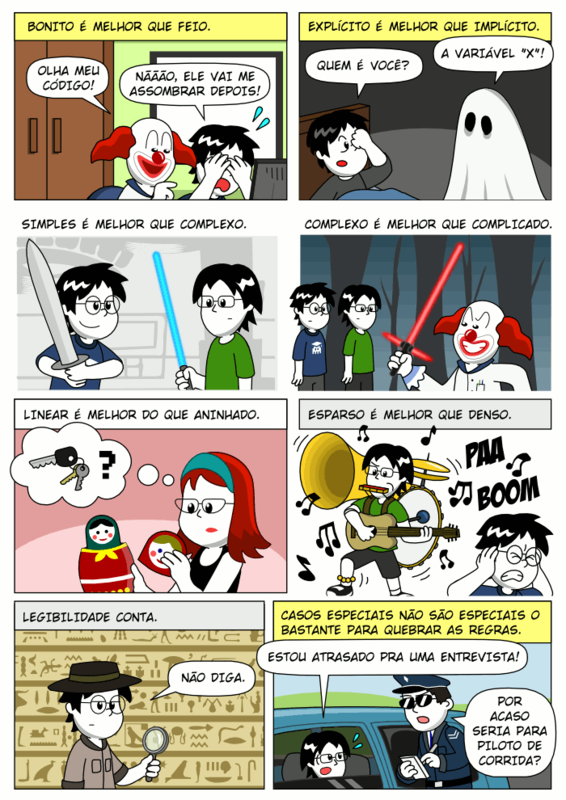 Programming Comics 3rd edition | Hacktoon! It's time for a new edition of Programming Comics, folks! 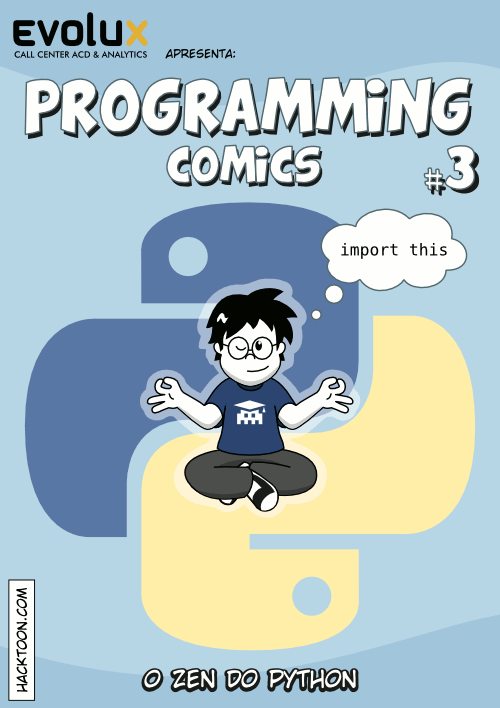 In this edition, I bring you the Zen of Python illustrated! Again, thanks to the fine people at Evolux, who sponsored the print and published it in the Python Nordeste conference, hosted in my hometown, Natal, Brazil.